Icons provide depictions of God or encounters with the divine that enable reflection and prayer. 'In the Beginning is the Icon' explores the value of these images for a theology of liberation. Iconology, art theory, philosophical aesthetics, art history and anthropology are integrated with rigorous theological reflection to argue that the creation and observation of pictures can have a liberating effect on humanity. In presenting art from across the world, 'In the Beginning is the Icon' reflects the ethnocentricity of both art and religious studies and offers a new cross-cultural approach to the theology of art. "…Bergmann lays out a fascinating and reflective outline of scholarship so far within the broader field of art theology or theological aesthetics." 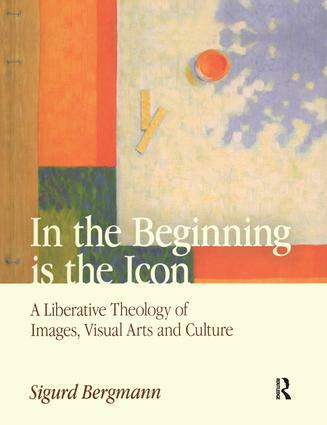 "Sigurd Bergmann’s book In the beginning is the icon, with the subtitle A liberative theology of images, visual arts and culture, presents an alternate perspective in the approach to visual arts in relation to religious belief." Sigurd Bergmann, Norwegian University of Science and Technology, Trondheim.